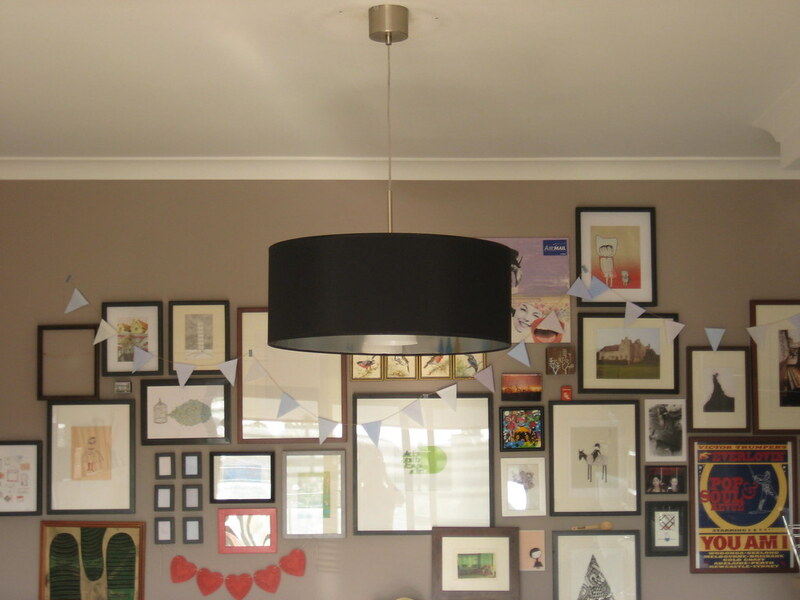 Inspired by this article in Real Living magazine, and uninspired by the oyster lamp setting that came with my apartment (and its globe that blew months ago that I never replaced), I bought a pendant fixture for my "dining room" (a.k.a. kitchen/lounge/living/study/craft/mess room). My future brother-in-law, who is awesome (because his name is CHAD and also because he will work for beer) is a sparky and hung the fitting for me (D.I.Y. electrical work being illegal in Australia). 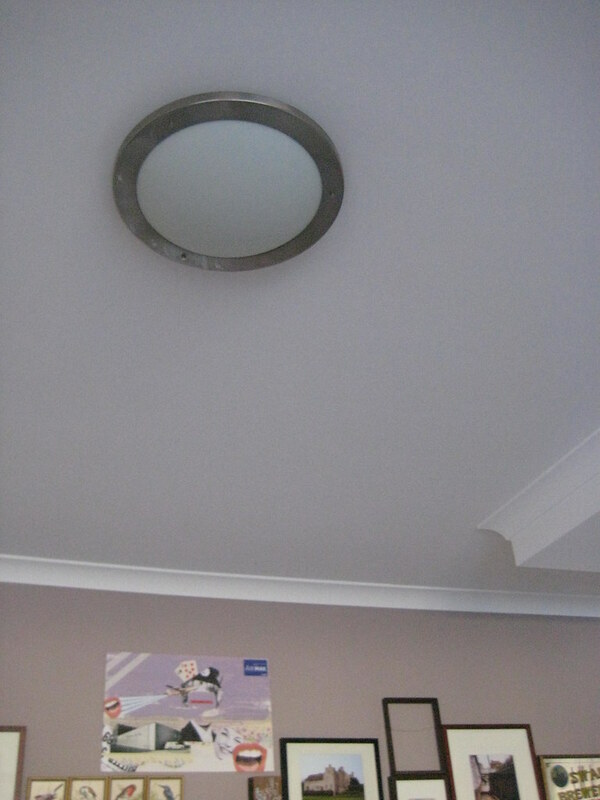 The darn IKEA pendant fitting does not fit a standard Australian lamp shade but we improvised a bit with the attachment. Surprise! 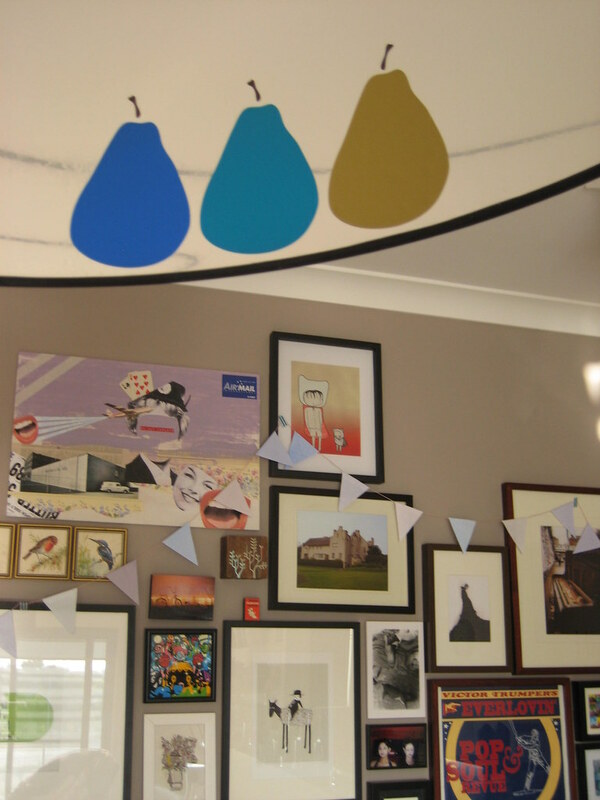 Whoever is sitting in the corner (or washing the dishes) can see these blue and gold pears (from Stick Meon). Oh my! The fixture and the room look AWESOME. Thanks. I fixed up the ugly before picture. Love the lamp and the pears! :) Thanks for stopping by my blog as well! I think that your future brother-in-law is awesome too. Hah! Will have to come around and check out your pear(s).